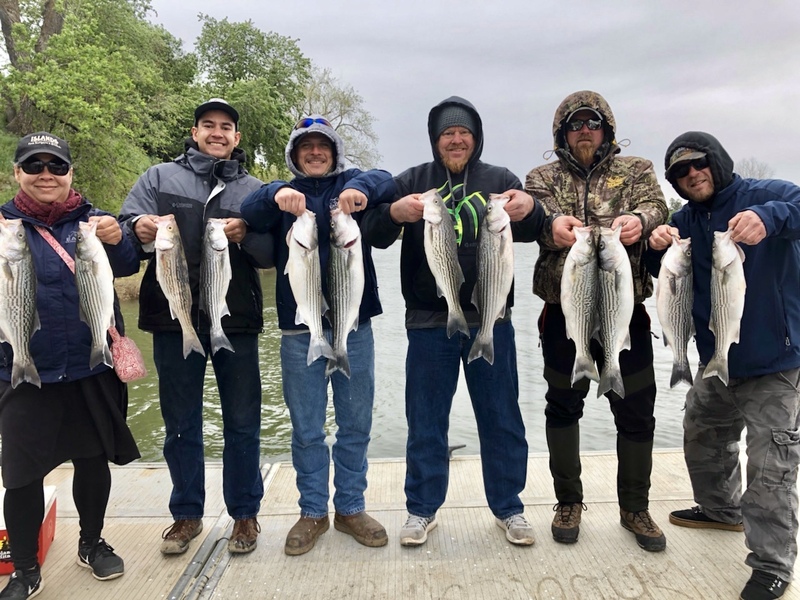 Sacramento River - Lower - Quick Striper limits today! Justin fished another full boat party and was finished with full limits by noon. 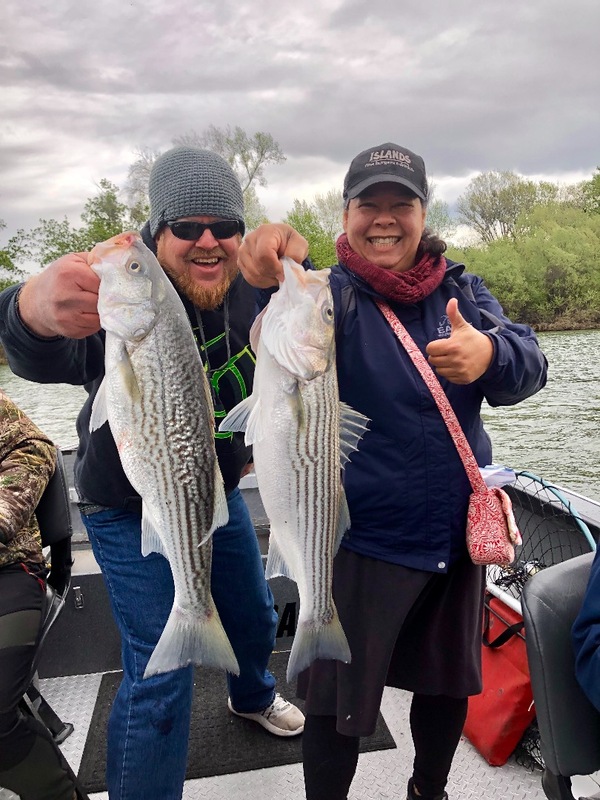 The Striped bass fishing looks to be heating up and justin has some available days to fish this month and on into next month as well. The minnow bite is as fun as it gets, and with the water clearing a bit each day, the bite will continue. 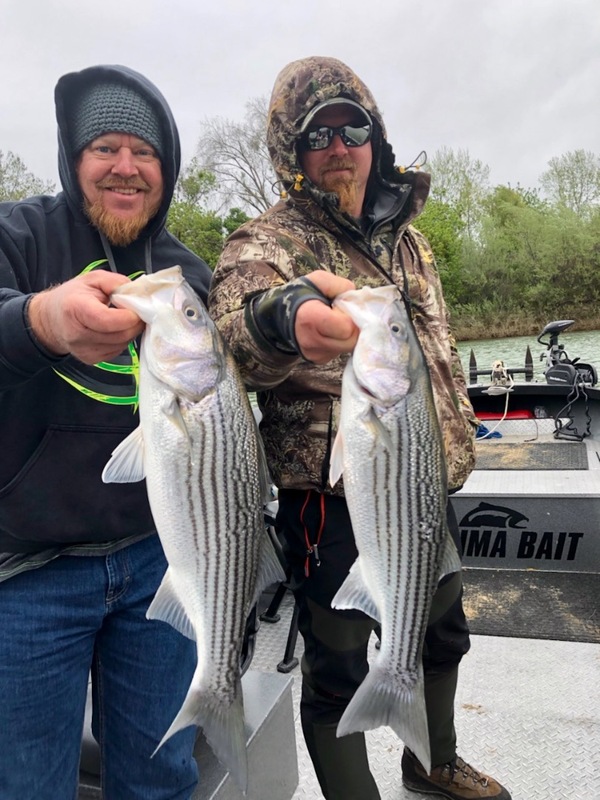 Its going to be a great season so if you havent booked your striper trip, visit jeffgoodwinfishing.com to schedule your trip!